Ocular is an Anti- Money Laundering (AML) compliance platform that provides instant verification of a customer`s background (KYC). The platform leverages cryptographic security mechanisms employed in distributed ledger technologies to ensure that data cannot be tampered with, while allowing users full control over how their data is stored and shared. The system is user-friendly for applicants while adhering to strict AML policy guidelines. 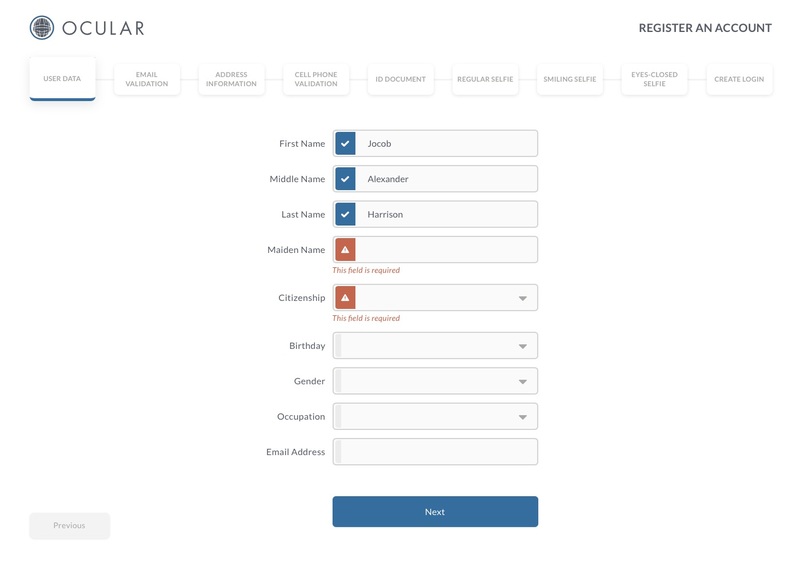 Ocular integrates traditional name and personal data background checks with state-of-the-art identity verification mechanisms such as facial and voice recognition. This safeguards against ID theft, false registrations, Sybil attacks and other attacks which compromise and circumvent compliance. Ocular uses advanced technologies such as artificial intelligence (AI) and machine learning. This Ocular to dynamically monitor and upgrade its capabilities and defenses in the face of an ever-changing landscape of cyber security. The objective of Ocular is to provide parties a transparent mechanism to verify and validate one another, to prevent fraud and expose fraudulent activities. Ocular aim to be the de-facto standard for multi purpose, highly customizable and configurable solutions that bridges traditional finance with crypto and satisfies compliance requirements at the highest possible levels. The Ocular solution is the fastest way to achieve full AML compliance for your customers! Regulatory Challenges - Governments, banks, and regulators worldwide require enhanced and ongoing verification of ”customers” and the “customers' customer.” Today, the process is cumbersome and time consuming - delaying the ability to conduct business. Customer Acquisition (Sign-up) Companies have trouble following regulations and processing customers quickly. The result is a backlog of registrations. The companies must grind through a stack of regulations, or worse, ignore them altogether. System Solutions to Market Challenges - Automatic and instant checks are conducted on OFAC (Office of Foreign Assets Control), Interpol, PEP (Politically Exposed Persons), and other criminal databases to confirm an applicant’s eligibility. Using proprietary facial and voice recognition technology, Ocular cross-references “selfie” images taken at registration with those on an identification document, eliminating fraud. ID verification involves the scanning and authentication of passports, driver's licenses, and national IDs for many countries. This verification filters out ID theft and false IDs. Please take a look at our video below. It demonstrates a basic KYC/Biometrics signup process that can be easily integrated using our webhook/API. Ocular is leveraging its relationships with financial institutions to provide a way for Ocular to be used for personal and business activities at merchants around the world. Following is a summary of some of the services offered by various services providers that are part of the continuously growing Ocular ecosystem. The native Ocular token OCULAR is integrated into each service to not only work as a settlement layer but will also greatly reduce fees or be given as rewards for based on usage. When a person is validated with Ocular, they will immediately be qualified for the services below. 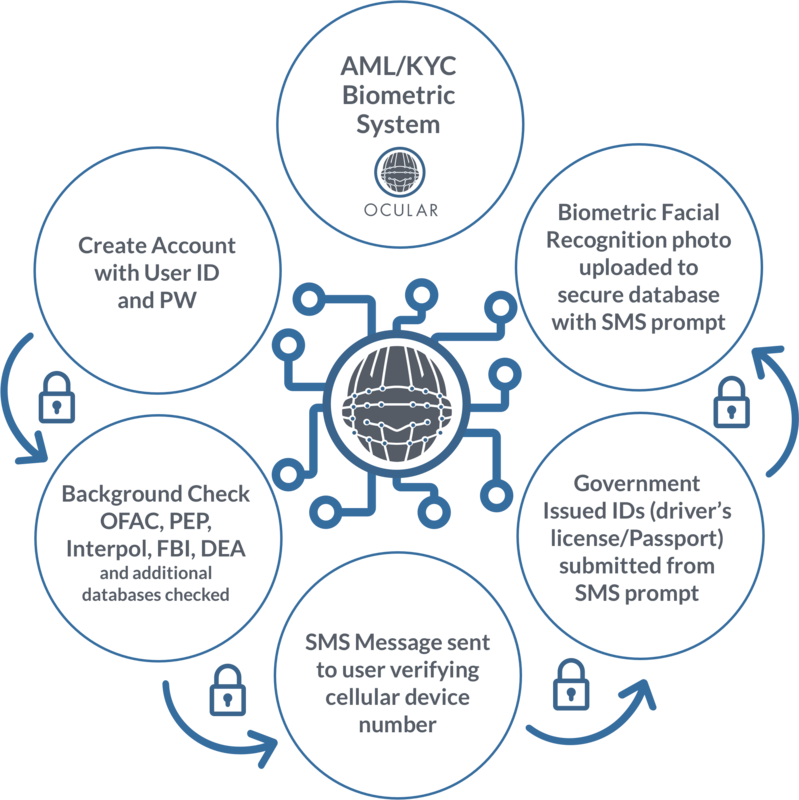 Ocular offers state of the art KYC/AML solutions. Please read About section and Whitepaper for a detailed overview. OCULAR token is used to reward validators, usage and as a settlement layer for these services. We partnered with OlePay and Jack Chang, the inventor of the ATM and early EFT systems to developed a blueprint to disrupt traditional payment solutions: The Reloadable Credit Card is a multicurrency card that functions similar to a debit card, however it can be issued worldwide! Instant approval and issuance of virtual credit card with up to $990 spending line while physical card is printed and mailed. Additional Spending Limits of $50k+ can be attained with approved enhanced due diligence. Better Travel Experience - credit card does not have holds like debit cards do for hotels and car rentals. Cardholder Rewards - Cash-backs & airline mileages from thousands of merchants will be added as well as OCULAR tokens. Remittance - Transfer funds to bank accounts, to other credit cards and eWallet transfers to recipients for pickup in multiple countries. Card can be rapidly co-branded. Customer loyalty programs built in. OCULAR tokens can be used to greatly reduce activation, issuance, interchange, monthly and forex fees. An Ocular verified individual is automatically approved for a full featured bank account and use of the associated eWallet platform to transact business worldwide. The wallet will also feature international shopping options such as purchase of real estate, automobiles, tickets and many other products and services at reduced rates. Cryptocurrencies will also be available in the wallet. The Bank and eWallet Solution is protected by a custodial account which assures the integrity of the funds. All accounts are insured per European Union central bank rules. OCULAR token can be used to greatly reduce any fees. 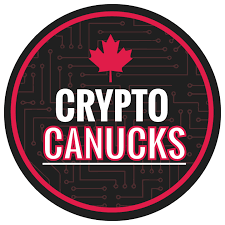 Our partners will support selected cryptocurrency exchanges for cryptocurrency purchases and link approved exchanges so that every person who has a eWallet account will be able to purchase or sell Cryptocurrency with a simple account-to-account transfer. This will reduce the time and cost it normally takes to purchase OR sell cryptocurrencies and each party – the exchange and the customer – are fully vetted by Ocular’s KYC and AML system. OCULAR token can be used to greatly reduce any fees. Our partners are integrating an international payment system that can be accepted by merchants worldwide. The system is already live, working in multiple countries and integrates through an API with many of the major point of sales systems. The service will allow the eWallet as a form of payment to brick and mortar and e-commerce businesses. The system will be integrated over the next several months. In addition to Ocular, we can connect validated companies with merchants to accept their payment solutions. 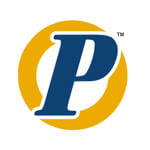 This program sets Ocular apart from any other compliance company in the world. Through partnership with Ole Pay, Ocular will be used to validate automated conversions between tokens, various other cryptocurrencies (BTC, ETH) and FIAT. Ole Pay, which is a licensed money transmitter, is focusing on the future of payment services by leveraging technology such as the blockchain as well as traditional payment services. OCULAR token can be used to greatly reduce any fees. Finally we can facilitate purchase of real-estate and luxury goods using most major cryptocurrencies. Our fees are reasonable, all transactions are verifies using Ocular and powered by Ole Pay. OCULAR token can be used to greatly reduce any fees. Please contact us for details. 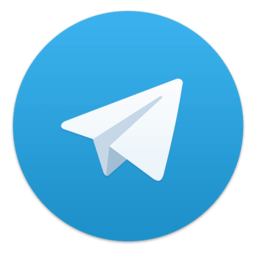 Our Whitepaper is available by clicking the button below all changes are also tracked through our GitHub repository. Timeline and Toke Sale information will be released shortly. Thank you for your patience. 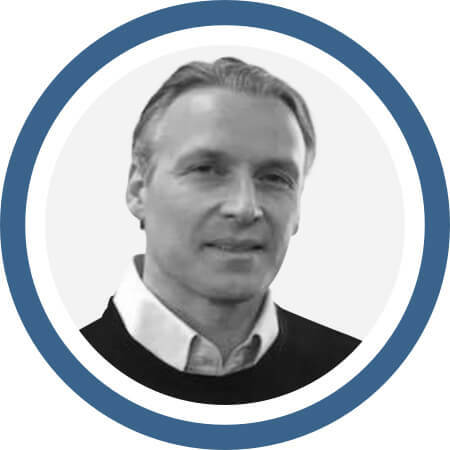 As one of Ocular’s visionary co-founders, Mr. Stokvold achieved a law degree from the prestigious University of Oslo. A member of the elite Norwegian military, Mr. Stokvold’s unique discipline to team- Ocular has been unparalleled. His understanding of the law coupled with innovation skills led him to launch several successful companies—both as an entrepreneur and as an investor. With his knowledge in these key areas, he went on to focus on technology-based companies, including Eurocall AS and Senternett AS in Norway; and Websenter in Norway, Sweden and Singapore. Each of these highly specialized companies has paved the way to Ocular. As a co-founder of Deiligst.no, Mr. Stokvold has been lauded with great success. Specifically, at its peak, the specialized website had 13% of the Norwegian population as registered members. His proven eye for startups (including SELFII) made him a perfect match for the inter-disciplinary requirements Ocular demands. He believes involvement in blockchain technology is vital to the future of remaining relevant in the technology and finance space, and has devoted the past several years in perfecting its use. As the CEO of Ocular, Chau Nguyen oversees all operations in the Ocular portfolio of businesses. His expertise in the business units include, oil and energy explorations, petroleum products trading and oil well/drilling investments. In addition to its successful far looking energy sector group, he is responsible for a broad base of business positions in the financial services including, banking, currency conversion, e-wallet applications, specialty/high risk merchant processing, and film finance. With a solid anchor in the US, Mr. Nguyen’s multi-national and international relationships he has developed for more than two decades provides a unique ability to connect people and opportunities. Mr. Nguyen has strong connections in Thailand, China, Korea, Cambodia, Viet Nam as well as much of the Pacific Rim and South America. His extensive training in technology from the University of West Florida where he received degrees of BS in Computer Engineering and an MS in Software Development supports his insight for Ocular and its varied business lines. Mr. Nguyen’s strengths also reach into Mergers, New Business Development, Strategic Planning, Business Development, Business Strategy and MLM business models, as well as Online gaming industries. 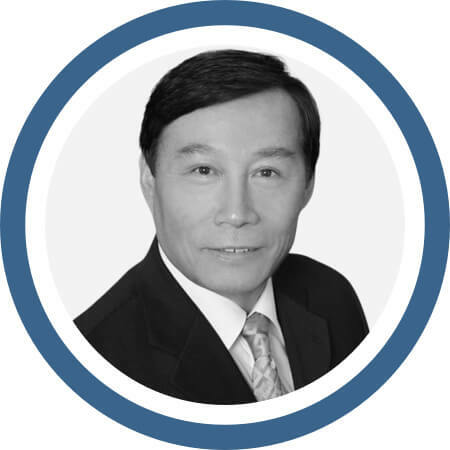 Mr. Nguyen’s extensive network of business professionals, technology resources and financial resources creates synergies that are unique to Ocular and its strategic partners. Mr. Nguyen speaks fluent Vietnamese and English and his team speaks and supports several other languages translates into a powerful global resource for the financial world. Classically trained as a software engineer, Mr. Iversen has emerged as an essential component to Ocular. As co-founder, he lends his marketing expertise with an entrepreneurial bend making him a uniquely qualified addition to the management team. 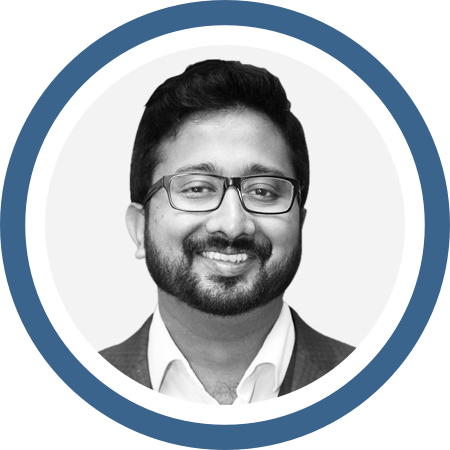 His vision has enabled Ocular to excel exponentially into cutting edge technologies including the intricate world of blockchain. Having begun his career by building products, designing and coding the Blackfire MUD while studying at the University of Oslo, he has been influenced by critical thinkers and innovators. In 2004 Ronny Iversen co-founded Deiligst.no, a hugely popular social media and dating platform in Norway that ran for over 14 years. Predating Facebook, Deiligst was as innovative as it was controversial with constant mention in the media as Norwegian culture was disrupted by the new social network concept. At its most popular, over 13% of Norwegians were signed up and the site was generating revenue of $240,000 per month in Norway alone. For over 20 years his experience in finding the right balance of product design, marketing, and technical innovation has been a hallmark of his expertise. Mr. Iversen firmly believes in connecting people with cross-industry disciplines for business opportunities and being able to engage people capable of executing his vision. A career entrepreneur, Mr. Jason has been deeply involved as an expert in blockchain technologies. He has been named as a member of the advisory board of Riot Blockchain, Inc, a publicly traded company on NASDAQ targeting investment opportunities in the highly competitive cryptocurrency space. 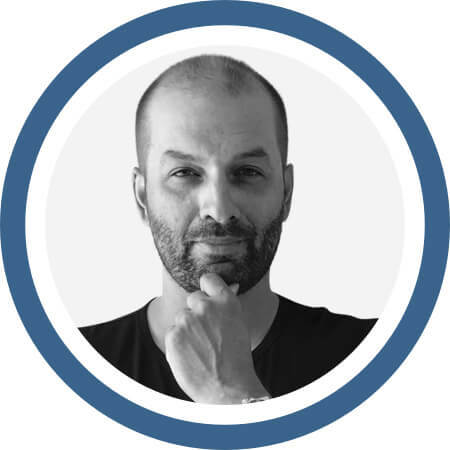 His success as a seed investor and consultant in early stage blockchain projects, Jason specializes in ICO token mechanics, marketing and community building, and post launch relations. 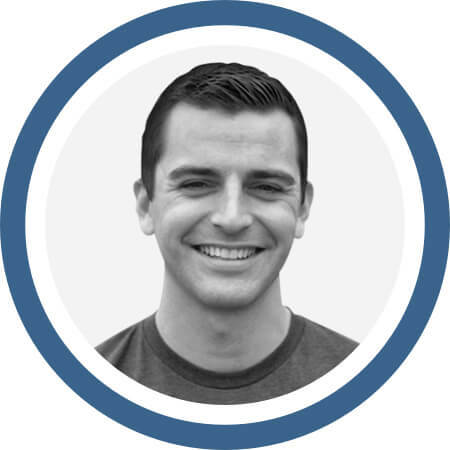 As an Ocular advisor, he brings a rare understanding and expertise and skill sets to the team. With his early roots in the gaming industry, he is generally considered one of the top high stakes online poker players in the world. To his credit, he has earned over $2 million in live tournament earnings, and invested and is a cofounder of highstakes.com. Additionally, Ocular was pleased to bring his specialized industry knowledge as an advisor/collaborator similarly to his role with Global Blockchain Innovation Capital (gbic.io) an ICO incubator in the blockchain space. There he was responsible for projects like Deepbrain Chain, Zeepin, and Eximchain and was called upon prymtech.io, a performance marketing group whos ICO/blockchain projects include Enjin, Wanchain as an advisor/collaborator. Ocular is pleased and proud to include Jason on the team and include his visionary role essential to its global success. David Perfecto is a certified compliance professional with 20 years experience. As career technology expert and serves as the Chief Compliance Officer, Chief Engineer and Co-Founder of Ocular. 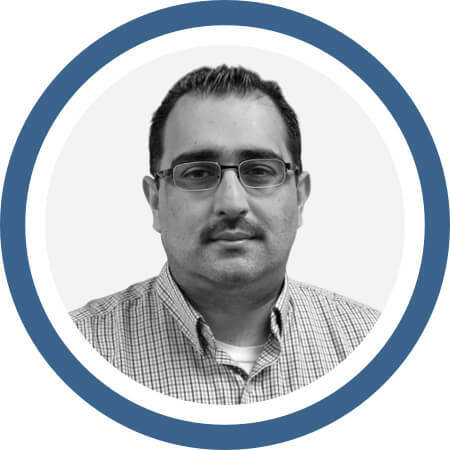 His deep experience in designing systems architecture and Compliance tools (for use domestically and internationally) have strengthened our deep knowledge of the industry. 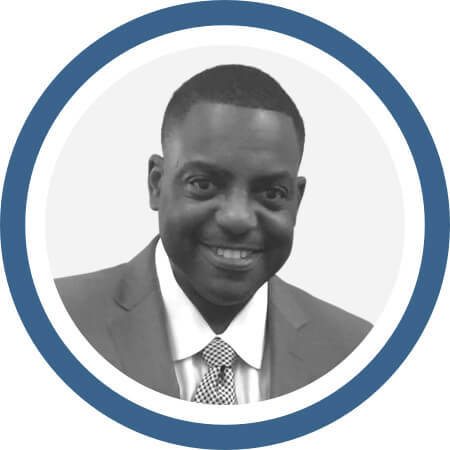 With strong ties to creating software solutions for the Money Service Businesses, his understanding of biometrics (facial recognition and voice recognition technologies) and its future uses, has led to his has developing software meeting and exceeding regulatory requirements in the US and abroad. With detailed eye toward AML and IDT (anti money laundering and identity theft protection), he has deployed systems in the gaming business successfully to defeat security threats. Proprietary systems services for money service businesses are currently in use throughout Tijuana, Mexico and Californian in more than 160 Points of Sale. David’s skills include software developed as systems engineer to mitigate business risks and loss. He has been called upon as an expert to teach and lecture on college and professional seminar level. 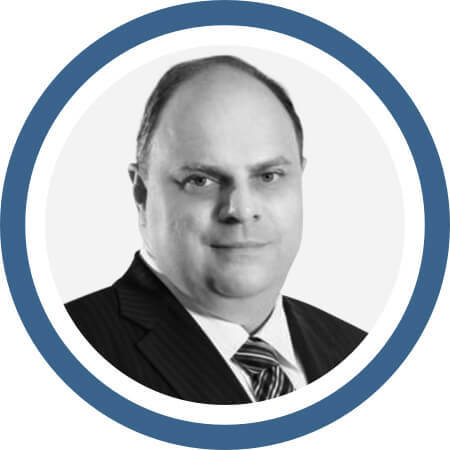 He has achieved certification of ACAMS (Association for Certified Anti-Money Laundering Specialist) among other prestigious professional associations and is currently providing high-level security protocols for businesses seeking high net worth and investor screening algorithms. 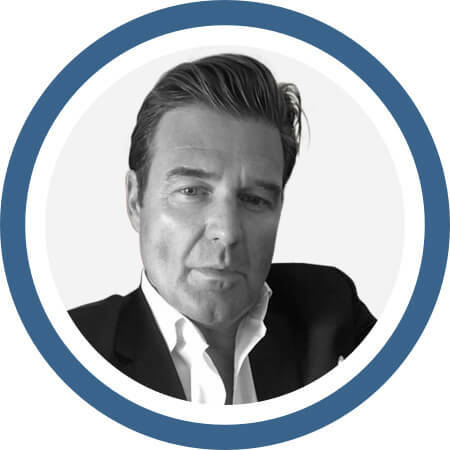 A founding and key member of the Ocular team, John Stewart has been the leader of Business Development for Ocular and business partners. 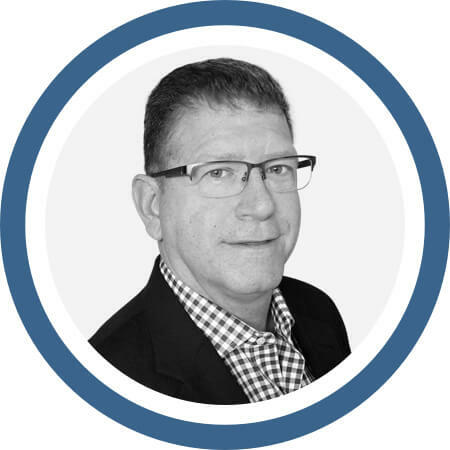 With his deep knowledge and innovative expertise with over 25 years’ experience in the Merchant Services industry, he brings superior skills to the organization’s clients. Under his leadership, the organization has grown exponentially in a very short period of time. Paired with a creative approach to bringing innovative solutions to the organization, John has a unique understanding of the complexities of this changing industry. With his roots in marketing and sales he also brings a deep knowledge base in the Merchant Services industry. This includes credit card processing and handling of electronic payment transactions for merchants. John blends the business needs of clients and vendors in a way that leverages each to its maximum potential. His understanding and implementation of merchant processing activities enables the organization to obtain sales from disparate parts of the country and the world. With experience in managing large and small groups including Associations, convenience store firms, franchisors, B-to-B businesses, specialized standard and high risk businesses including accounting firms, point-of-sale and cash register distributors, software development firms to name a few, his talents are only limited by the imagination of our clients. 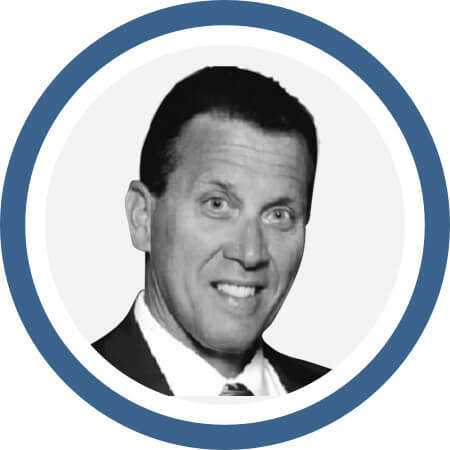 Mr. Williams brings over hastwo decades of experience in the merchant services industry to Ocular as an executive, consultant, trainer and troubleshooter. His experience in transforming sales operations has earned him numerous prestigious industry awards of excellence. As an Executive with First Data, Mr. Williams built the foundation of his Merchant Services knowledge. He serves in the capacity of maximizing merchant services programs and expanding the network enjoyed by Ocular. His experience in every aspect of the processing markets of merchant services include, retail, corporate, high‐risk, and emerging markets. His intimate knowledge off the process, association rules and fundamental sales methods allows him to find innovative methods that reduce costs, improve processesand increase the corporate bottom line. Serving Ocular as VP of North American Sales, Mr. Barowsky has over the course of his diverse career focused on problem solving and finding the solutions to clients' needs. With classical training as an architect, he brings the discipline of precision and an eye to creative detail. His expansion into consumer-focused marketing consultancy as project manager has enabled his skill sets to work in the production and launch of global broadcast advertising campaigns and design and construction of a restaurant in the heart of New York City. With deep knowledge of the hospitality and entertainment industries among others, he leverages his relationships and business acumen to satisfy the complex demands faced by the Ocular organization. Additional strengths lie in providing leadership, conceptualizing ideas, seizing opportunities and building operations; we rely upon his strong communication and technical skills and tap his vision, creativity, strategic planning, and an intrinsic ability to serve as a “connector” of both people and ideas. Mr. Barowsky's meticulous attention for detail ensures the delivery of successful, efficient solutions to our ever-changing technological and business challenges. Brent Ruttman serves as compliance officer for Ocular as well as a founding member. Brent has served in business specialty industries during his entire career serving most recently as COO of GreenBox Cash Services. Brent’s experience with a variety of compliance systems and his ability to leverage resources make him an invaluable asset to Ocular. Added to that his understanding of AML compliance made a perfect fit for this organization. His deep experience includes, consulting roles in Research and Development for agribusinesses include developing a USDA certification and tracking program for beef export and helping in the development of the Earthsure label, an Environmental Management System. 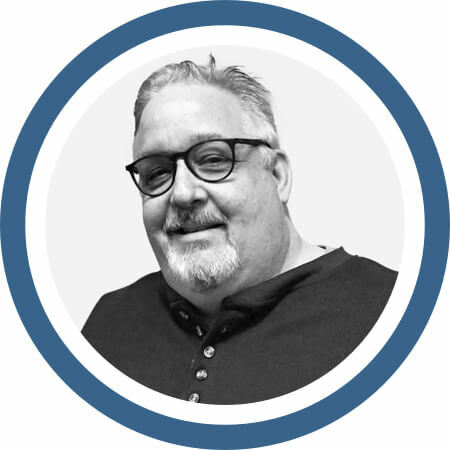 Brent has entrepreneurial experience with strong skill sets in the in compliance, personnel management, process management and inventory management rounding out his expertise. Brent is a Graduate of the University of Nebraska, Lincoln. Brent resides in Omaha Nebraska and is still very active in the management of his family farm. 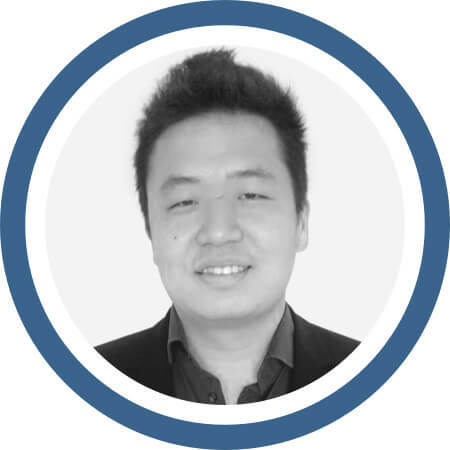 Henry Li is the Chief Financial Officer at Ocular. Mr. Li is responsible for managing the financial operations of the company. Prior to joining Ocular, Mr. Li was the controller for Ole Resources, Inc. where he managed the logistical U.S. Domestic operations and supervised fund disbursements on all new and on-going projects. Mr. Li’s specialty is in organizing and implementing fund control systems on the company’s projects. Mr. Li holds a Bachelor of Science Degree in Marine Geology from the China Oceanography University in Qing Dao, China and a Master’s Degree in Petroleum Engineering from the University of Houston in Houston, Texas. Wulf Kaal is a leading expert at the intersection of law, business, and technology. 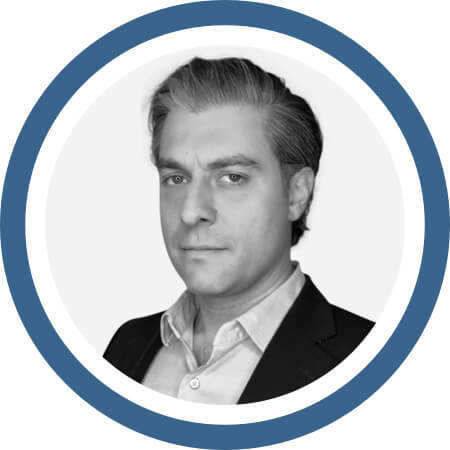 His research focuses on innovation, technology, blockchain technology applications, smart contracts, initial coin offerings, hedge funds, and dynamic regulatory methods. Kaal is the director of the Private Investment Fund Institute (PIFI). Before entering the academy, he was associated with Cravath, Swain & Moore LLP, in New York, and Goldman Sachs in London, UK. Kaal advises crypto companies, crypto startups, venture capital funds, and international policy makers on blockchain based solutions in FinTech and LegalTech. 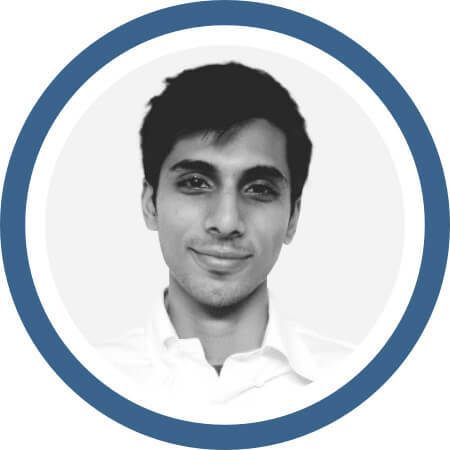 As an adviser and mentor, Kaal focuses on creating synergies for his clients and building successful new crypto businesses, among others, on existing solutions. Timothy Spangler focuses his practice on the intersection of alternative investment management and financial technology innovations. Mr. Spangler assists clients with the formation, structuring and negotiation of private investment vehicles across numerous jurisdictions around the world. He regularly advises fund sponsors and promoters on the structuring and launch of hedge funds, private equity funds and venture capital funds, as well as with respect to their co-investment arrangements, internal partnerships and personal investments. On a selective basis, he advises potential investors in private investment funds. Mr. Spangler also has particular experience counseling clients on the ongoing compliance obligations of investment management firms operating in a rapidly evolving global regulatory landscape, including the Investment Advisers Act of 1940, the Financial Services and Markets Act 2000 and the Alternative Investment Fund Managers Directive. Dividing his time between the firm's Orange County and Silicon Valley offices, Mr. Spangler also advises clients on the impact of blockchain, cryptocurrencies and digital assets on the financial services industry and the innovation economy. Mr. Spangler was recently recognized by The Legal 500 (US) in the area of alternative/hedge funds, and has been recognized in Chambers Global in the area of USA Investment Funds: Hedge Funds, Foreign Expert for UK. 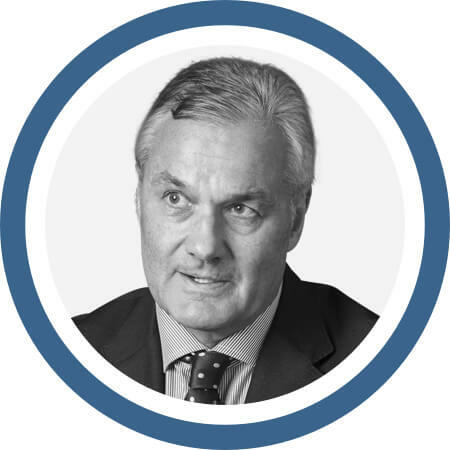 He is listed in The Legal Media Group Guide to the World’s Leading Lawyers for Investment Funds in both the United States and the United Kingdom. He is also "Recommended" for his work with Investment Funds in The PLC Cross-Border Investment Funds Handbook and is mentioned in The International Who’s Who Legal for Private Funds. As corporate lawyer by trade, and an entrepreneur at heart, Jason has trained in the law with a variety of in-house positions and private practice including one of Canada’s largest law firms. He has been involved in several business and start-ups at an executive level in a variety of industries ranging from legal, finance, beverage manufacturing, hospitality, environmental, e-commerce and professional consulting. Jason is truly passionate about his work and is always eager to connect with others. “I enjoy helping to create and sustain businesses with experienced advice, financial support and mentorship”. Dr. Gordon Walker is an Emeritus Professor of Law at La Trobe University School of Law, Melbourne, Australia. He is an advisor to Asian Development Bank (ADB) designated as International Business Law Expert. At the ADB, his work involves company, secured transactions, securities regulation and trust law reform within the Private Sector Development Initiative He was previously the Chair Professor of Commercial Law (1999 – 2015) and Director of LLM in Global Business Law and the LLM for International Students programs. During 2004-2007, he served as Head of the law School and was also Associate Dean (Research) in the Faculty of Business, Economics and Law. A native of Southland, New Zealand, Professor Walker went to Otago University as the Lissie Rathbone Scholar and graduated BA (Hons.) LLB (Hons.). After a period of law practice in Wellington, New Zealand, he taught and practiced law in Adelaide, South Australia where he earned an LLM Degree from the University of Adelaide. In the 1980s, he taught at Sydney University School of Law, practiced law with Freehills, and, worked in investment banking. He earned an MBA from the Graduate School of Business at the University of Sydney and doctoral degree in law (SJD) from Duke University School of Law, USA. Key Areas of expertise in academia and practice include securities regulation, corporate law and governance and commercial law reform. Professor Walker has over 200 legal publications. Professor Walker has been admitted in the following jurisdictions as Barrister and Solicitor: New Zealand; Victoria; South Australia and the High Court of Australia and as Solicitor in New South Wales. Lin Jia represents hedge funds, private equity funds, hybrid funds, fund of funds and institutional and entrepreneurial asset managers in connection with their structuring, formation and ongoing operational needs, general securities law matters and regulatory and compliance matters. Prior to joining Dechert, Ms. Jia served as an associate in the investment management group of another international law firm. 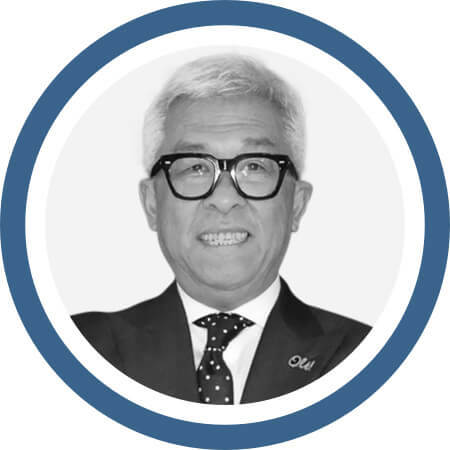 As a multi-disciplined individual, Mr. Chang has truly unique experience in corporate and marketing, making his contributions invaluable as an advisor to the Ocular team. The ATM - Mr. Chang is the inventor of the ATM (Automated Teller Machine). See: http://www.global-vision.com/Patent/Patent-ATM.pdf. Additionally, he created Bank cards - Pioneer on encoding, embossing and use of the bank credit and debit cards Electronic Funds Transfer systems - He was the inventor, earliest developer and provider of ATM funds disbursement, electronic payment, interchange and settlement networks that are the genesis of networks such as Plus, Cirrus, Star, etc. As the Pioneer of PC-based intelligent in-bank teller and platform systems, his vision and expertise for to the Ocular team synergistically blends knowledge of technology and user experience. 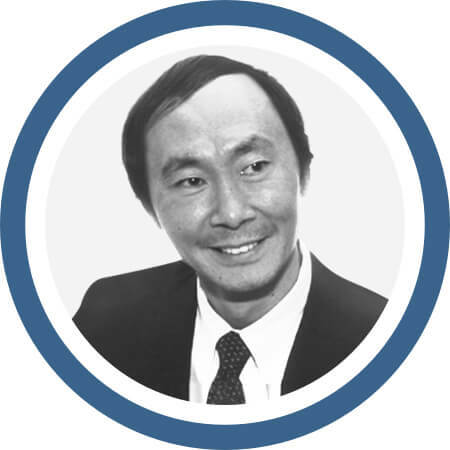 As an early developer and provider of Prepaid Debit Cards on an international scale Mr. Chang has been an Investment Banker and trustee for worldwide humanitarian organizations and heritage foundations with experience in mergers and acquisitions coupled with his contributions as top executive and strategic advisor to global companies, such as Citibank, Bank of America, American Express, Visa, EDS, Unisys, Coca-Cola Enterprises, among others. Mr. Chang served proudly as the President of a Citicorp company and Chief Marketing Officer responsible for worldwide marketing and sales of Citicorp banking products and services Joint ventures and alliances with investment, commercial and retail banking firms and payment system processors in U.S., Europe, Asia, Oceania, Africa and Middle East to develop/market payment system products. Mr. Chang has a BS degree in Medical Electronics from Purdue University, a MBA in Marketing and Sales from Southern Methodist University and had done PhD studies and taught courses in Management Science at University of Texas. Jesse brings a very deep knowledge of domestic and international rules and methodologies of accounting to Ocular. With IRS background, he brings an understanding of the complex rules having experience in technical issues requiring knowledge of corporate taxation, partnership taxation, tax accounting methods, federal tax procedure, income tax fraud, and abusive transactions schemes. Additionally, he developed cases requiring collaboration with fraud technical advisor, international specialists, return preparer coordinator, employment tax specialist, and IRS chief counsel. With the skills to prepare individual, partnership and corporate income tax returns, sales tax returns, and information returns Jesse supports Ocular with powerful skills required to navigate the ever-changing horizon of laws and filing statutes including logistics and improved efficiencies in the supply chain. He provides proficiency in reporting and procedural filings, managing receivables and payables and compliance with cash flow projections. His education background from University of Southern California - Marshall School of Business and California State University, Los Angeles - College of Business and Economics make him a very valuable team-Ocular member. Started her professional career at Capvision Partners, an industry renowned research provider focusing on buy-side client acquisition strategies and co-led multiple industry and product research initiatives across North Asia. 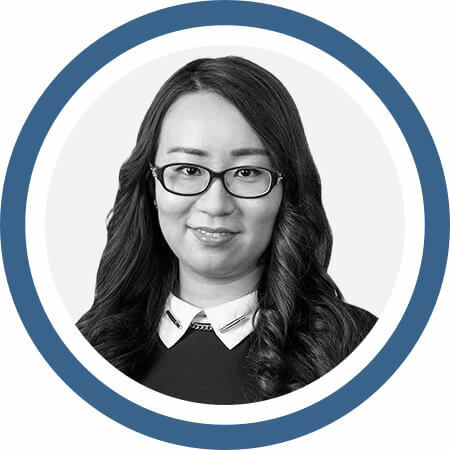 Leveraging her deep industry research experience and network, Yaxi was named Senior Investment Fund Manager at Ping Yi Capital, advising enterprises and high net worth clients on primary market asset allocation strategies. 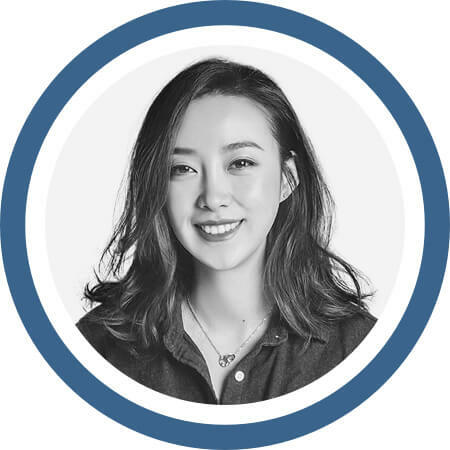 Combining her professional trainings, entrepreneurial spirits and genuine interests for blockchain technology, In 2017, Yaxi co-founded Global Blockchain Innovative Capital (aka. GBIC), a full spectrum incubator focused to deliver strategic values for blockchain projects. With a particular emphasis on community management, strategic resources allocation and disciplined investment principles, GBIC have quickly established itself as a familiar name within the global blockchain community. Witnessing the enormous interests for exceptional blockchain projects amongst the local community, Yaxi has utilized her geographical advantage to launch Block72. Block72 is a global consulting firm specializing in blockchain and distribute ledger technology. Block72 has multiple offices across the world including New York, Shanghai, Beijing, Seoul and San Francisco. As the founder of Finsweet, a website design and development agency, Joe handles web design, web development, and branding for Ocular. He is a front-end developer, specializing in CSS and JS. Joe manages Oculartech.io and expands the website as Ocular grows. Joe and his team at Finsweet work together to give Ocular a minimalist, modern brand image on the web. Troy Wilkinson is an avant-garde entrepreneur. For the past 25 years he has amassed extensive experience as a marketing professional specializing in global direct marketing penetration in telecommunication, utilities, and financial services. Known as a category creator and industry disrupter, he currently distributes a platform in the mobile digital education space for trading the decentralized crypto and foreign currency exchange market. 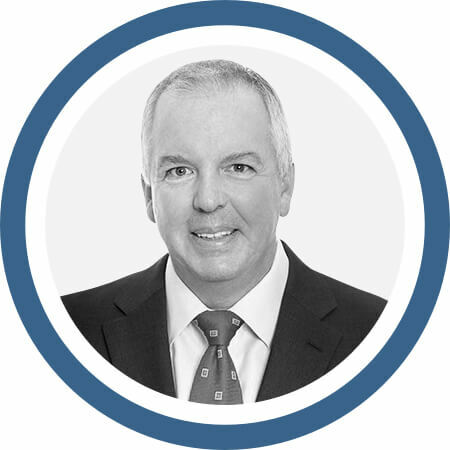 As a private wealth management professional, Mr. Wilkinson is the CEO and founder of a Los Angeles based hedge fund. He is also a “first mover” Blockchain evangelist, introducing cutting edge fintech and distributed ledger solutions to emerging markets through incubation, acceleration and investment. Innovation is in his DNA. His insightful contributions to the nascent crypto / blockchain economy has made him a sought after industry speaker and coveted consultant to start-up businesses dealing with disintermediation: Cryptocurrency, Distributed Ledgers, Regulatory Compliance, KYC/AML, Risk Mitigation, Trading, Hedging, Bank Integrations and other platforms and applications. Blockchain Technology and financial inclusion is the cornerstone for his writing contributions to the academic white paper titled, “Blockchain Technology and (Human) Race.” He has the highest regard for the benefits of embracing the non-discriminatory democratized trust and smart contracting opportunities this technology offers. His focus and passion are deeply rooted in the firm belief that the transparency and innovation of blockchain technology benefits minorities and disenfranchised communities, ends discriminatory practices, and helps create a freer and more equal society for all human beings. Mr. Wilkinson has created a vast professional network across North America, Latin America, Africa, Europe, Asia and the Caribbean. 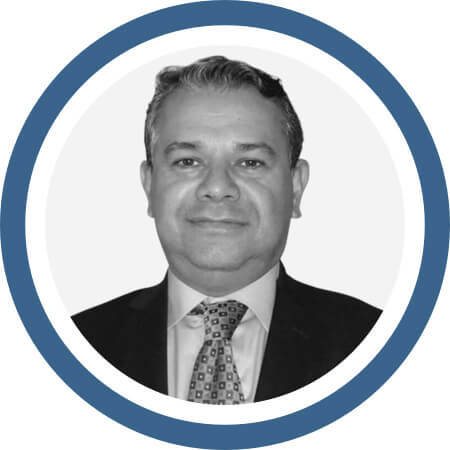 His focus on consulting start up crypto businesses and providing insightful and timely solutions, in addition to his proven track record of developing strategic global relationships has positioned him to be an integral part of the Ocular team. Srikar earned B.A. and M.S. degrees in Mathematics and Computer Science from Columbia University. 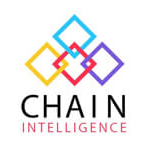 He is a co-founder of ChainIntelligence.io and a Blockchain Lead at Dunya Labs. He is interested in protocol research and helping projects design robust smart contract systems. Our team crypto crusaders just arrived at Las Vegas for the Coin Agenda conference. Blockchain World Conference Bkk 2017. Thanks to Aaron and Saber for a great event! Interested in Ocular or in need of KYC/AML we have solutions ready for you. Fill out our form and we'll reach out. Thank you for your interest. We'll reach out soon. Oops! Something went wrong while submitting the form. Please reload and try submitting again.